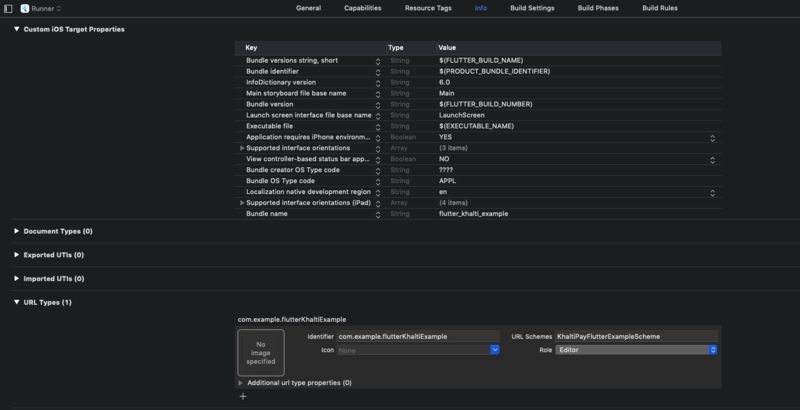 Khalti SDK for flutter apps. Khalti Merchant can use this library to integrate the payment system in their system. No change is required, works out of the box. You have to add URL scheme to the project and send it as a parameter to the FlutterKhalti class as shown in the example code below. Run flutter format to format lib/flutter_khalti.dart.